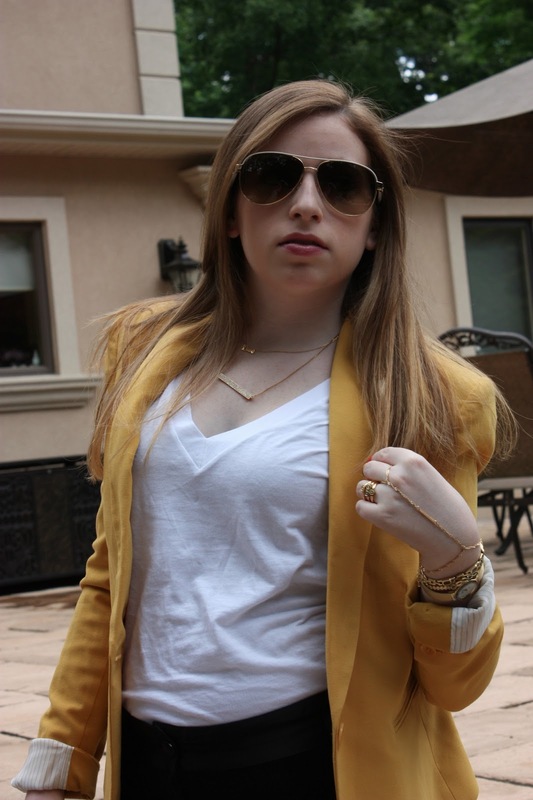 Not only was this blazer on super sale, but it's also like the coolest mustard color ever. I think it's so fun to just add a nice pop of color to a black and white outfit with some mustard yellow. And I got new sunglasses for my birthday which I am absolutely in love with. I also got some fun new jewels from Urban Outfitters and Rebecca Minkoff. The bar necklace and stackable rings are Rebecca Minkoff and the handpiece, other ring, and midi rings are all from Urban Outfitters.